Social networks platforms such as Facebook orTwitter are for a while in fashion. But they are just trends, only a sign of the times announcing something much bigger. Its true value is that they have driven a new era of crowdsourcing and mass collaboration. Hundreds, thousands, even millions of people can now work effectively - like never before - to achieve extraordinary results. Indeed, successes such as Wikipedia, YouTube, and Facebook are good examples of mass collaboration, a new and emerging paradigm. This was the logic behind GeoCensos Mapps or Mesoamérica Apps Hackathon organized past October 4-5 to develop geographic apps in response to geopolitical and social problems in the region through mass collaboration. 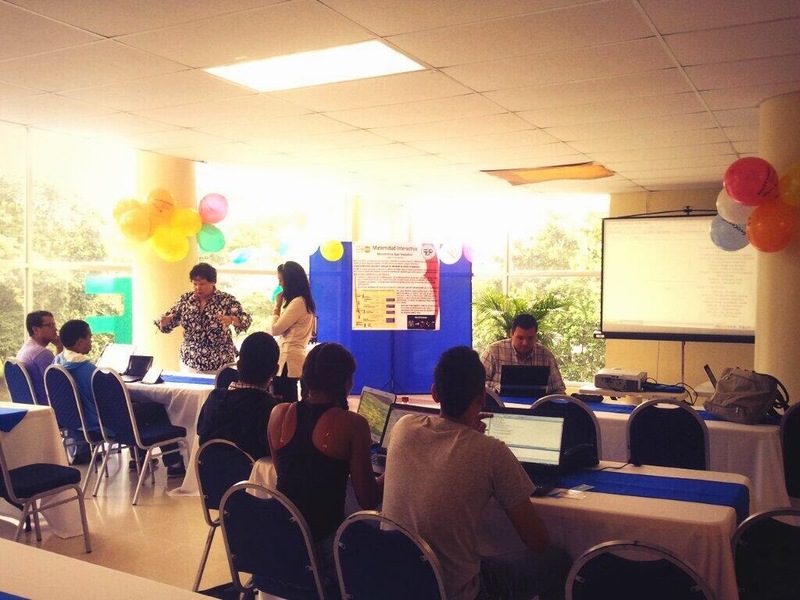 This geoinformation technologies congress of enthusiastic developers was organized by GeoCensos Foundation calling programmers from Guatemala to Ecuador and attracting 816 developers in 12 cities in 7 countries. The Marathon-of-developments-in-a-collaboration dynamic allowed participants for two days to address environmental issues and to solve problems related to climate change, natural disasters, coastal tourism and smart cities. Through crowd sourced mechanisms, more than 20 solutions and applications were generated followed by a strong presence on social networks and digital media. This approach is particularly innovative because unlike other commercial events organized by technology companies, such as the so called campus parties, no economic contributions are requested to participants and as developments are made collaboratively within the open source initiative, free and rapid dissemination is secured for greater results. "Our interest is to promote and to raise awareness within an intelligent and collaborative use of Geo-information technologies. We were born as an expert group in technologies to manage and order territories, taking advantage of the boom in the production of census data. "What we do now is to use those data for the benefit of our countries, cities, municipalities and thus results favoring everyone mapping together for a better future", said Javier Carranza, General Manager of Mapps Hackathon and President of Geocensos Foundation. One of the most interesting aspects of this good practice is that it recognizes young tech talent, promotes empathy to the less favoured and high lights local colour in many cases. One of the local supporters was the United Nations Population Fund in Panamá, where young people of UTP in Panama were interested to solve pregnancy and maternity leave problems among indigenous women. With this idea in mind they solved complex issues related to diagnosis, treatment, alert and local maternity care. For the executive director of the Salvadorean Chamber of ICTs Mario Padilla, "such initiatives allow our boys and girls to develop their talents. Technology can be a viable option for the generation of personal solutions and these events are the right way to open spaces where young people participate and can star in." In Southamerica, 34 Colombian trainees from the youth Learning National Service (SENA) produced in the city of Neiva, South of Colombia 4 applications to overcome local information needs in the territory. Among the volunteers of the Mapps Hackathon Bogotan Headquarters great enthusiasm was showed for they decided to reschedule to October 19 the presentation and awards ceremony of developments for the purpose of allowing greater inclusion of young people from other locations and collaborative work between many more stakeholders. All of these solutions arise as benefits of mass collaboration , a form of collective action occuring when a large number of people work independently and parallel in an altruistic project. Such projects typically are mediated - as the Mapps Hackathon GeoCensos was- via the internet and using both social software tools of collaboration or wiki technologies, providing almost endless opportunities to collaborate, which benefits widely the generation of social solutions.